Pondicherry is a beautiful city located on the south-east coast of India. A former French colony, Pondicherry has so much culture and history embedded in every nook and cranny. This calm and peaceful city has a lot to offer everyone. 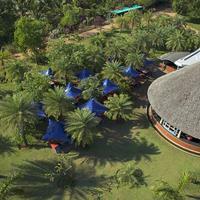 It is the perfect holiday destination if you are looking to do something off the beaten track. 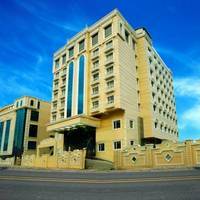 Here you can enjoy a beach vacation by staying at any one of the numerous beach resorts and hotels dotting the ocean-side. 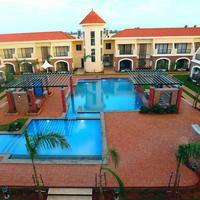 You can also stay at one of the hotels in the city if beach stay does not interest you. There are a number of water sports activities you can do, such as kayaking, surfing, scuba diving, and even a boat ride. 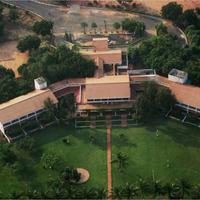 Of course, no visit to Pondicherry is quite complete without visiting Auroville and the Shri Aurobindo Ashram. 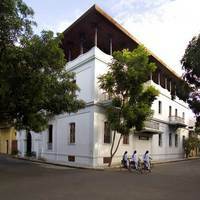 Pondicherry reflects an amalgamation of French and Tamilian cultures, and how the two grow and co-exist peacefully. You can see the French influence in all aspects from the architecture to the food, in the quaint French cafes all over the city. 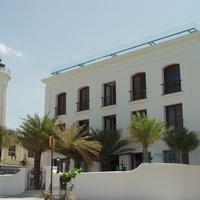 You can also go for a heritage walk, which will take you through the French quarters. 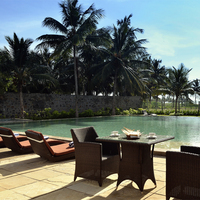 Apart from the destination and people who accompany you, the stay does matter to how much you enjoy a holiday. So, one must not cut-corners when choosing an accommodation. Cleartrip can help you plan your travel well from booking flight tickets to online hotel booking of your choice. Plan your next holiday here and return with some beautiful memories. 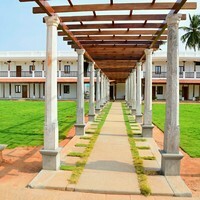 Pondicherry has some wonderful accommodation options for tourists. 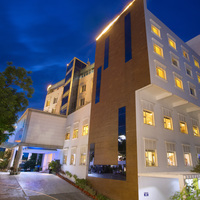 If you want a comfortable, luxurious stay where all your needs are taken care of, you can choose from some of the many 4-star Pondicherry hotels listed on Cleartrip. The facilities that these hotels offer are truly world-class. You have access to a 24-hour front desk in case you need help with anything. Laundry facilities, bar, room service, restaurant, lounges, Airport pick and drop facility, swimming pool, fitness centre and more. Some of these 4-star properties also have yoga and meditation centres, massage rooms, library, Jacuzzi in bathrooms, indoor games, and more. 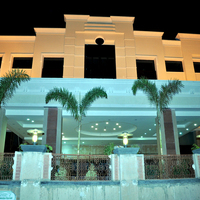 Mouth-watering, world class cuisine is an added benefit of the hotels. Customer-oriented service is their aim, as they try to make sure that each and every guest has an unforgettable experience. Come back after a long day of exploring the city to a warm and comfortable room, where you know all your requests will be taken care of. Cleartrip can help you plan a memorable holiday. 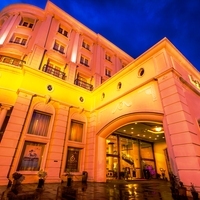 Choose from the many options of 4-star hotels listed on their website. Hotel booking is easy when you book through Cleartrip! Cleartrip makes planning your travel so much easier and convenient. You can log on to the website and choose your hotels as per the location you want to stay in or the facilities you require. You can even see traveller reviews before you finalise your hotel. If you prefer a particular chain of hotels or if you want to stay at a heritage property or a beach-facing hotel, you can choose that as well. 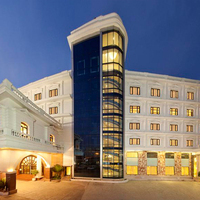 Soak in the culture of Pondicherry, while relaxing at a beautiful and high-end 4-star accommodation. Cleartrip offers some wonderful offers and discounts on and off, through the year. Some of the options you can choose from are Anandha Inn, which is in close proximity to a number of popular attractions, and The Windflower Resorts and Spa , which is located close to Paradise Beach and even has villas with private pools, and suites with outdoor shower areas. The Club Mahindra Puducherry is also a good 4-star option, especially if you are travelling with kids since they have a number of options to keep your children entertained. Book your hotel at the earliest to grab some really cool deals.